This week the PGA Tour makes it first stop of the year in California, as they players tee it up at the newly named, Desert Classic. Previously known as the Bob Hope Classic, the Humana Challenge, and more recently the CareerBuilder Challenge, this event has had several sponsor titles, and also had a notable format change seven years ago. Previously a five-round event over four courses, the event changed to a 72-hole tournament, with a 54-hole cut like the AT&T Pebble Beach Pro-Am in 2012. Also like the Pebble Beach Pro-Am, this event is now played over three courses, and each presents different scoring opportunities. Onto this year’s renewal and defending champion, Jon Rahm is joined by reigning FedEx Cup champion, and World No.1, Justin Rose, as well as two-time winner of this event, Phil Mickelson. Rahm started off his year with a T8 finish at the Tournament of Champions, whilst Mickelson and Rose will be making their first appearances of the New Year. One of the biggest stories during the winter break was Justin Rose’s move to Honma, a Japanese club manufacturer that is very popular in the Asian market, but features very little in Europe and North America. Rose, who has been with TaylorMade for the entirety of his career, made the switch after 21 years, with former TaylorMade CEO, Mark King likely the biggest influence. King was brought on by Honma as a consultant, with the hopes he could bring new playing staff to the table and with the splash they have made with Rose, it is expected others will follow suit. Paul Casey was another who was spotted with Honma irons, when playing the Tournament of Champions in Hawaii. Of the three courses, La Quinta is the easiest of the three and any winner here will have to score well there, or shoot the lights out on the other two to make up for it. Whilst La Quinta is particularly easy, neither course at PGA West is difficult either, as this event is made accessible for both amateurs and pros alike. The Stadium Course, which is used for two rounds, including the final round does however pose some threat, with water in play on half the holes. The long rounds that come with the nature of a pro-am event do not suit everyone, and that should be taken into account this week. It is not easy to know how well suited players are to this, however if a player has strong performances at Pebble Beach, this would suggest this format doesn’t bother them. With this being a birdie-fest event, hitting a high % of Greens in Regulation is a must, as is making more than your fair share of putts. Since the courses changed in 2016, Jason Dufner and Hudson Swafford had won, before Jon Rahm secured victory here 12 months ago, suggesting elite ball strikers excel here. Those playing in Hawaii at either the Tournament of Champions or Sony Open seem have a distinct advantage here of late. Of the last 9 winners, 8 had played in one of the two Hawaii events, with Bill Haas in 2015 the exception. Three of the most recent winners here; Swafford, Dufner and Brian Gay played at the Sony and finished 13th, 9th and 32nd respectively, to suggest playing and playing well the week before is an advantage. This makes sense, as those that haven’t played yet in 2019 will have some rust to blow away, whilst those who have played in the last two weeks have some recent form under their belt. Aaron Wise will be looking to crack the top-50 in the world rankings again this week (currently 52nd), and reap all the rewards that come with doing so, so a big performance will be even more pleasing this week. Wise did make the top-50 after the Tour Championship, where he finished midfield (T15), but he’s fallen out again, despite a solid start to the new season. T15 at the Shriners and T10 in Mexico were great efforts, and it was just one average round in both that cost him top-5 finishes. Wise was largely poor at the Tournament of Champions last time out, but a return to California should suit him to the ground. On his debut here in 2017 Wise finished T34, opening with a pair of 68’s to start off the week. A 71-72 weekend was not enough for him to finish higher, but he returned a year later and improved again. He was T17 in 2018 after an opening-round 64, but middle rounds of 69-72 left him far too much to do on Sunday. Arriving a much more polished player this time around, after his win at the Byron Nelson, T2 at the Wells Fargo and T5 at the Northern Trust all since that effort here last year, it’s fair to expect Wise to continue trending in the right direction in the desert. Talking of the desert, Wise is based at TPC Summerlin in Vegas, so will be used to the desert conditions that will be thrown his way here, so that’s an added bonus. The field is limited this week, and given his Rookie of the Year season in 2017/18, much will be expected of him in these sorts of events. Clearly capable of winning, and putting in strong performances in better fields than this, 35/1 looks decent enough value to have him on board here. Ryan Palmer is an excellent ball striker, who has history at this golf course and is in fine form, so he makes all the sense in the world this week. Palmer has done all but win at this event, finishing 2nd behind Patrick Reed in 2014, as well as finishing 4th, 6th and 10th in three more renewals. Since 2016 he has finished 17-MC-20 here, but his form over his last two starts suggest he may go close here once again. T3 at the CJ Cup in October, and T7 last time out at the Shriners in November shows Palmer is on top of his game, and a big putting week could see him get that win here that has eluded him to this point. 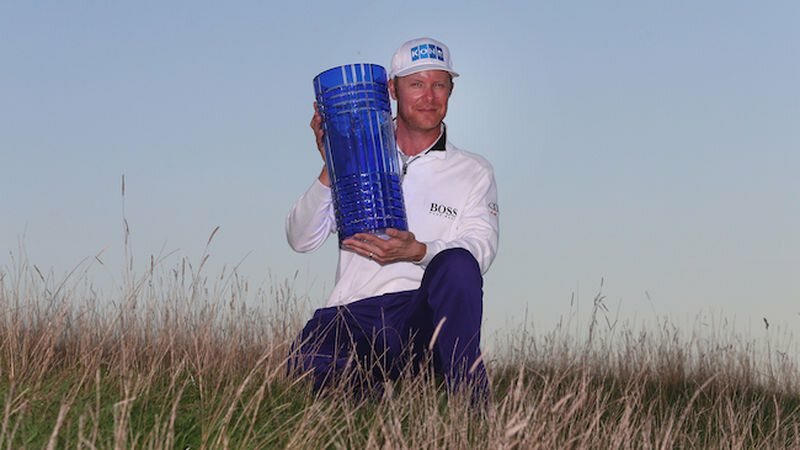 Three wins on the PGA Tour to his name and plenty of experience under his belt, he is certainly the type to play well at the spots he knows best, and this is one of them. 66/1 appears good value to me this week. Corey Conners Monday-qualified last week in Hawaii, and took his chance with aplomb, finishing in a tie for 3rd and earning him playing rights for the 2018/19 PGA Tour season. The Canadian is clearly an emerging talent, but still not the finished article yet, with consistency an issue for most of last season. At last year’s Valspar Championship, Conners held an unlikely 54-hole lead, but a tough chasing pack, which included Tiger Woods, Justin Rose and Brandy Snedeker meant Sunday was going to be even nervier than expected. Unsurprisingly, he imploded. A final-round 77 saw him fall into a tie for 16th, whilst Paul Casey shot a 65 to deny Woods a special comeback victory. Conners played well again on his next start, once again showing signs he could win, but a final-round 76 at the Corales saw him drop into a tie for 13th. A lone top-10 in Fort Worth (T8) was a lone bright spark in an otherwise quiet campaign after that, but he’s shown plenty of form once again, to start the new season. After missing the cut at his first start, the Safeway Open, Conners was slightly slow out of the gates at the Sanderson Farms Championship, however he bettered his opening-round 71 in each of his subsequent rounds, to finish 2nd behind Cameron Champ. His lack of consistency followed him again as he missed his next two cuts, in Vegas and Mexico, but a T23 at the RSM Classic was a solid end to 2018, and he’s gone right back on attack mode in 2019. That T3 finish last week is a big positive, as he’s now put in strong back-to-back finishes, in spite of the winter break, and he now has a chance to play well again. Conners could only finish T50 here on debut last year, but broke 70 over his first three rounds (68-68-69) and would have cracked the top-20, were it not for a final-round 73. A better player this time around, and a solid ball-striker, Conners should improve on his last effort here greatly, and looks good enough value to do so at 70/1 in this field. Brian Stuard has only one PGA Tour win to his name, at the rain-shortened Zurich Classic, which was called after 54 holes. With that said, he is a player that has a knack for big performances, and any given time and he could go well again here. Last week Stuard shot 66 or lower three times, including a third round 64, and his bad round was a 2nd round 69, so it was a pleasing effort. This was good enough for him to finish T8, and just two strokes outside the top-3. He had played well in Hawaii in the past (three top-8’s), so it wasn’t particularly that surprising to see him halt a run of four missed cuts there. Whilst in recent times, his form hasn’t been good in this event, missing his last three cuts, Stuard does have two top-10’s (10th and 5th) in 2013 and 2014 to his name. It is perhaps a concern that since the course rotation changed in 2016, he has not played well here, but at nearly 200/1 I am willing to chance his form carrying over. This is still a resort-course event, so current form can easily trump course form, and given he does have decent memories here way back when, I think he is worth chancing given last week’s showing. I’m going to throw a modest punt on newcomer, George Cunningham, who played brilliantly in Canada last season and has had decent showings in his two PGA Tour starts to date. With just one event under his belt on the PGA Tour this season, his 1st place ranking in Ball Striking and 2nd in Greens in Regulation has to be largely ignored but if he can hit the ball as well as he did at the Shriners, here this week, he could be on for a big finish. Cunningham ranked 3rd in Driving Accuracy in Vegas, hitting over 80% of fairways and also ranked T4 in Greens in Regulation, hitting over 83% of the 72 greens. He could only rank T47 in Putting Average on the week, which held him back, so he will need to improve on that here. In addition to his T36 at the Shriners, Cunningham finished T29 at the RBC Canadian Open last July. Just two shots shy of a top-20 there, it’s fair to say Cunningham is happy to play at this level and it’ll be interesting to see how he gets on here. Last season on the Mackenzie Tour was his first year as a pro, and it only took him three starts to secure his first victory, despite missing the cut in his first two events. Four top-4 finishes, including a 2nd and two 3rd’s followed. So in just 12 starts, Cunningham posted a win, a 2nd, two 3rd’s and a 4th as well as three more top-20’s on the Mackenzie Tour, earning him a Web.com card. This form suggests that his good showings are no fluke and that he could make a major impact at this level. He finished T13 at the Dunlop Phoenix in Japan, back in November, just one shot and place behind Brooks Koepka and one ahead of red-hot, Andrew Putnam and he will hope to continue his fine early form here. 500/1 is just well beyond the odds he should be, considering his efforts in limited starts at the top level, and I am happy to give him a chance to prove himself once more.